If for any reason you are unhappy with your purchase, i.e. the item you have ordered is faulty, defective or you've had a change of heart you must return it to us in its original condition and packaging accompanied by the receipt within 14 days for a prompt replacement, exchange or refund. All checkout payments are processed by Paypal. Paypal is a safe secure server. You can also check this is secure by looking for the padlock icon on your internet browser. Any refund will be made in the same form of payment that was used to make the initial purchase and only applies to the item(s). Our delivery charge in your original order is not refundable if an item is being returned. Delivery charges incurred in sending items back to us are non refundable. Goods returned to us because of a change of heart must be in perfect, re-saleable condition including product packaging, instructions, etc, otherwise we will not be able to refund you. Products that are in plastic sealed packaging must be completely sealed and unopened. Please be aware that in the event of having to refund you for any reason this can take up to 30 days to show on banking/credit statements however we always act upon refunds very quickly and we don't hold the money in this period. This timescale is controlled by your banking/credit company. By submitting your order you are confirming that you wish to purchase the goods at the prices and the terms stated and are allowing us to use your details for the purpose of supplying the goods including, passing your details onto our nominated carriers and other third party subcontractors. We will not use your details for any other purpose without your prior consent. We are not obliged to supply the goods to you until we have confirmed order acceptance to your order and providing the item(s) are in stock. You must ensure that all details required are correctly filled at the checkout before submitting, including email address, full postal address and payment details. If for any reason you or any person at the delivery address refuses to accept the delivery of the products, all risk in the products shall pass to you and we may, at our discretion charge for return of the products to us, a storage fee and a re-delivery fee to another address nominated by you. If we discover an error in pricing of the goods in your order, we will inform you as soon as possible using the contact details you supply us, and give you the option of reconfirming your order at the correct price or cancelling it. If we are unable to contact you within seven days we will cancel the order. In the event of an order being cancelled any payment made for the goods will be refunded in full. By submitting your order you are accepting the shipping and handling costs. To ensure that shopping online is secure, your credit/debit details will be encrypted by our secure paypal server. We do not store your card details on our server and they are used only once to authorise your transaction. We cannot see any of your card details. We will use all reasonable commercial efforts to meet your delivery dates, however we do not guarantee delivery dates. Orders are processed for despatch within 24 hrs and delivery is normally 3 working days from date of order, however in rare cases delivery can take up to 5 working days. We will not be held responsible for items arriving late due to services out of our control. We take privacy and data security extremely seriously. During the course of trading we may gather information which will be kept strictly confidential and will only be shared with others with your prior permission. We will not release personal telephone numbers or address details to any third parties, unless required by a courier to enable delivery. 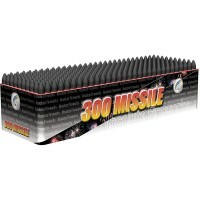 This is a massive pack of fifteen outstanding rockets. 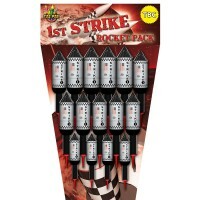 Pack contains three different sizes of rocket.. 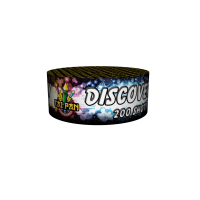 Superb 200 shot cake ejecting crackling stars, glitter tails, whistles and multi coloured breaks&nbs.. This SUPERB barrage contains a 300 little shots with whistles and crackling bursts. Set off together..
© 2019 Cumbria Fireworks. All rights reserved.